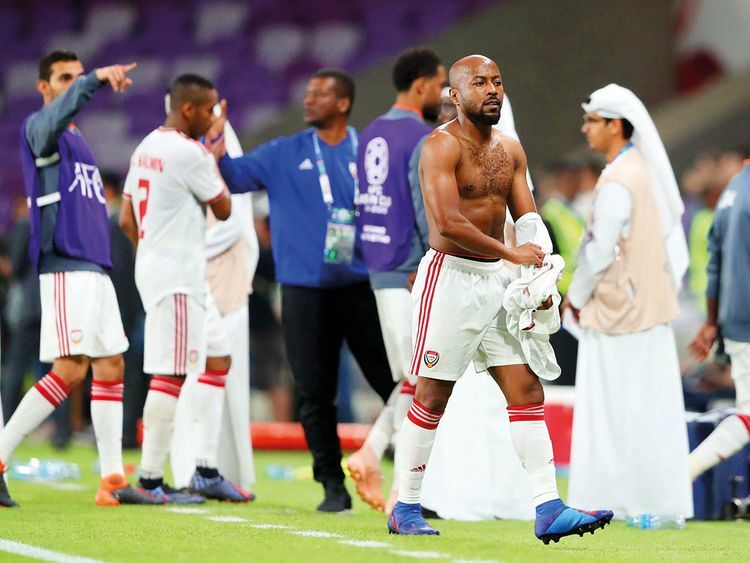 Abu Dhabi: UAE’s veteran striker Esmail Mattar has backed coach Alberto Zaccheroni’s tactics of trying to hold on to the lead and not press for more. Mattar, who was a starter for the first time in the tournament in their last 16 games on Monday and stayed on the pitch for 82 minutes, felt the need of the hour was to win and not how they played the game. “As long as we are winning, I’m happy with the tactics we are following. When you are the better team you want to go and attack but you don’t know how to play because the opposite team is not of your same level. They play as if there is nothing to lose,” said Mattar. “When you play a 50-50 like Japan played Saudi Arabia, then you can show your quality and you can show your personality more. When you have the pressure to go and score because you are the better team, then it is more tough. “Kyrgyzstan team had quality; their captain [Valerii Kichin] can take the ball from behind and can send in those passes. I think when a team with the same level we will be playing against, then we will be in a better position to play good football,” said Matar, adding that he was a bit nervous when he was in the starting line after being in the field for just 10 minutes in the last two group outings. “To be honest, I was scared as I had not played for one month and the last two matches I came in only towards the end. To start today was tough but when you have experience then it becomes easy. “It is not cheating but you use your experience, not run much and stay in your position and let the ball come to you. It was good work for me and I’m happy with the way I played,” said Mattar. The senior player asserted that his side will be gunning for revenge for their loss to Australia in the semi-finals of the 2015 edition. “Australia beat us in their home and they will be now playing here and it is payback time this time round,” declared Mattar.